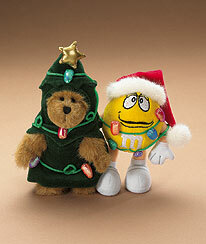 Issued for Holiday 2007 M&M Collection -- We're not quite sure what happend but it looks like Yellow's attempt at stringing lights on the tree went a lil' haywire! This sweet M&M? features flat feet f.. Issued for Holiday 2007 M&M Collection -- We're not quite sure what happend but it looks like Yellow's attempt at stringing lights on the tree went a lil' haywire! This sweet M&M? 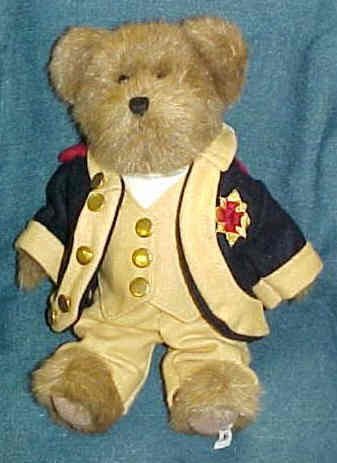 features flat feet for easy posing beside Boyds 6" Christmas tree peeker bear!